GREAT LOCATION WITH A MAGNIFICENT PANORAMIC GOLF COURSE VIEW - As you enter through the front door all you see is stunning views of the golf combined with views of Saddleback Mountain. This property has been remodeled/nicely updated with new flooring throughout, a fully remodeled kitchen providing plenty of space to entertain and an open concept living area. Bedrooms #1-2 offers plenty of natural sunlight both rooms face the front of the house. From the comfort of the master bedroom wake up each day to a GREAT LOCATION WITH A MAGNIFICENT PANORAMIC GOLF COURSE VIEW - As you enter through the front door all you see is stunning views of the golf combined with views of Saddleback Mountain. This property has been remodeled/nicely updated with new flooring throughout, a fully remodeled kitchen providing plenty of space to entertain and an open concept living area. Bedrooms #1-2 offers plenty of natural sunlight both rooms face the front of the house. From the comfort of the master bedroom wake up each day to a breathtaking view of the golf course and enjoy sipping your morning coffee on the back patio. This location offers the most beautiful sunsets while relaxing on the back patio and afterwards enjoy a soak in the master ensuite Jacuzzi tub. Garage offers direct access to attic storage area with a pull down ladder plus an additional storage closet located off the back patio area. Casta del Sol amenities include two beautiful recreation centers, tennis courts, lawn bowling, 2-pools, 2 Jacuzzi's, tranquil gardens with walking paths, vegetable / fruit plots, fitness room, billiard room, library, craft room, card room and many social activities and clubs to join. This property is within walking distance to Casta del Sol's Main Recreation Center. 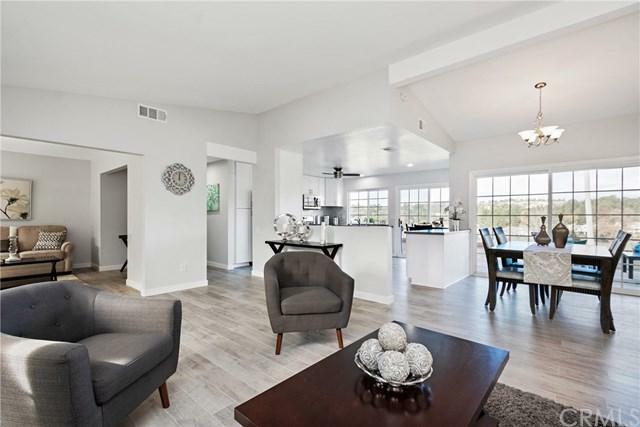 Plus the property has a membership to Lake Mission Viejo to enjoy evening concerts, rental boats, fishing, family picnics and a 4th of July fireworks show! THIS PROPERTY IS A MUST SEE AND PRICED TO SELL !